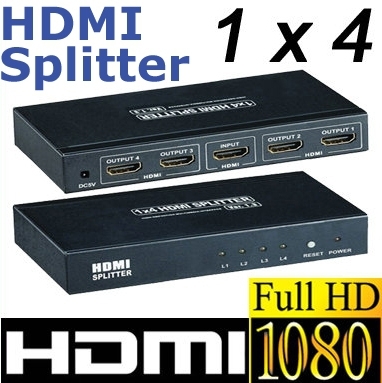 This HDMI splitter lets you use multiple screens with one HDMI source. 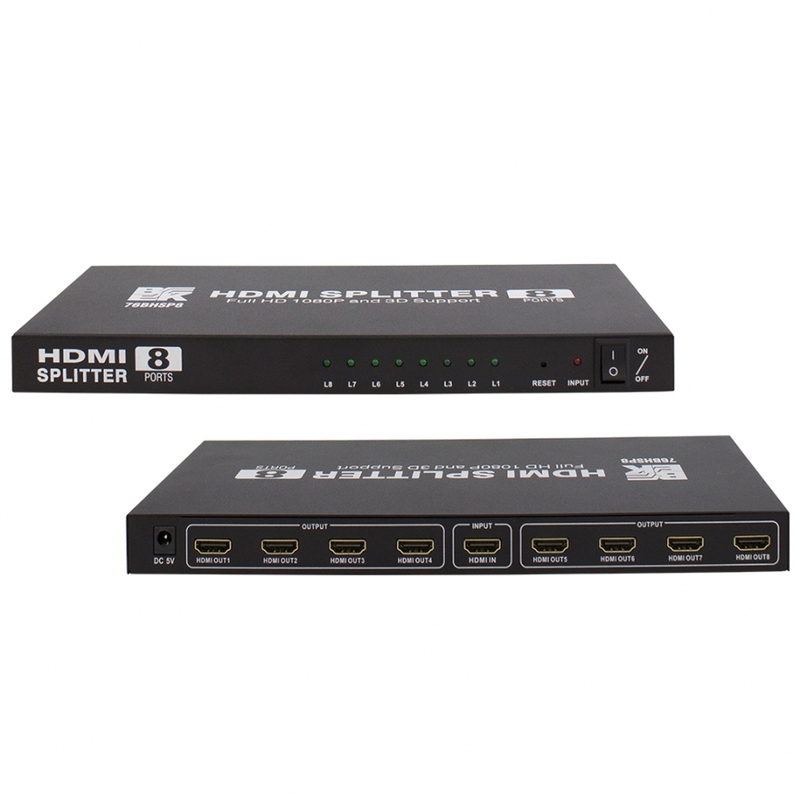 This reliable HDMI splitter will take any HDMI signal (rev 1.4) and duplicate the signal, sending the same high definition signal to 8 displays simultaneously. 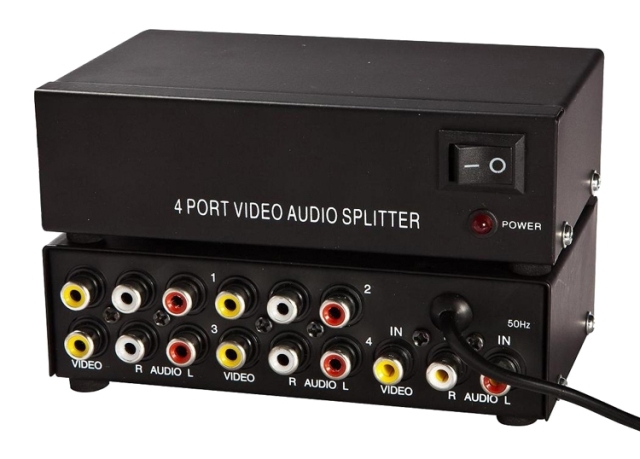 This splitter is beautiful in appearance. 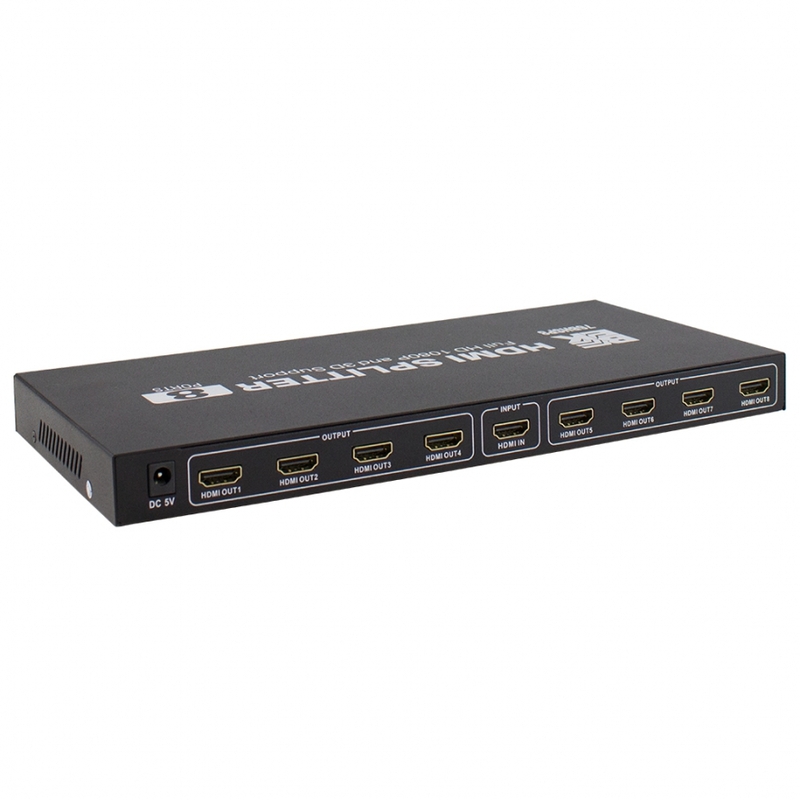 It distributes the input of the HDMI signal into the eight identical outputs simultaneously. 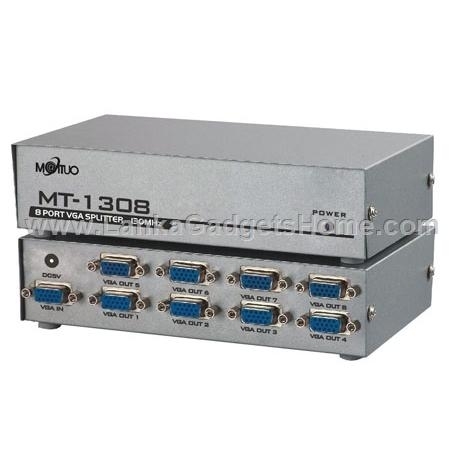 It supports HDCP and the real HDMI 1.3b / 1.4 its video amplifier bandwidth can be up to 2.25Gpbs/225MHz. 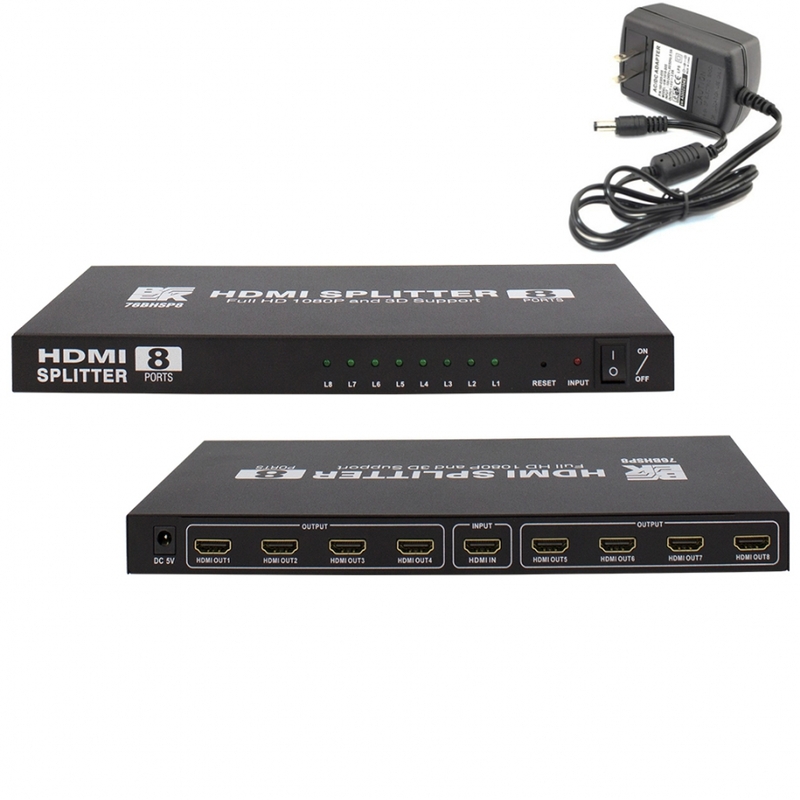 The HDMI Splitter offers solutions for HDTV retail and show site, HDTV, STB,DVD and Projector factory, noise, space and security concerns, data center control, information distribution, conference room presentation, school and corporate training environments. 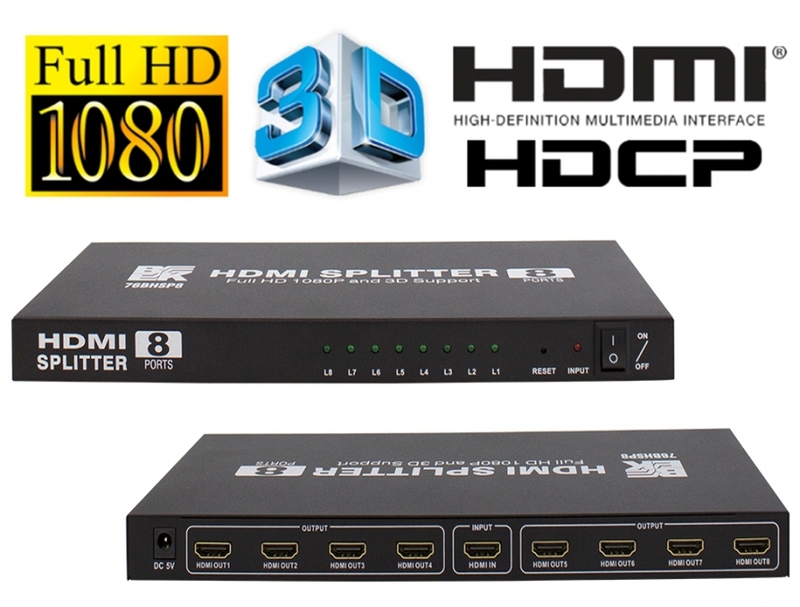 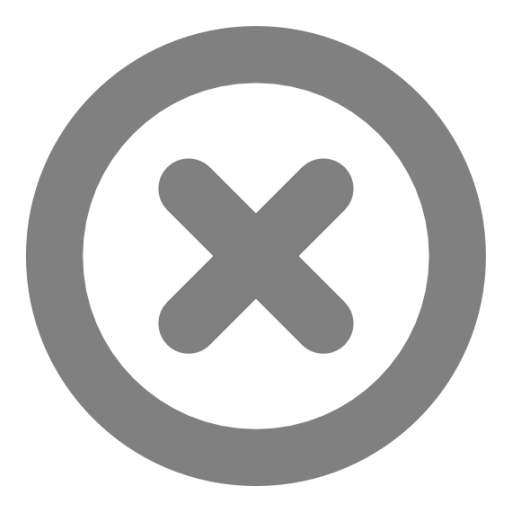 • Cascaded: Large distribution achieved by cascading the HDMI Amplifier Splitter. 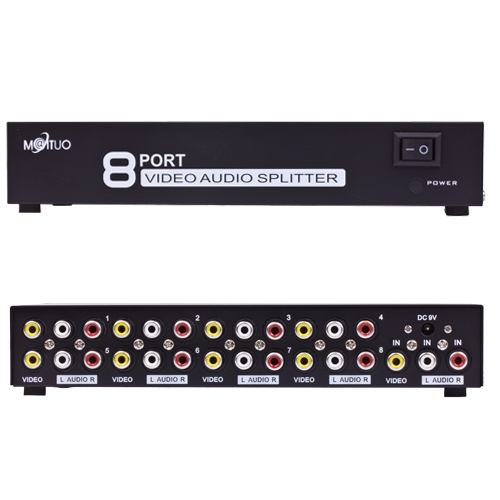 • Supports HDMI signal re-timing with cascading above 3 layers in full-HD 1080p format and 2D and 3D Supports an input HDMI cable up to 15 meters @ AWG24 HDMI standard cable length and an output up to 25 meters.